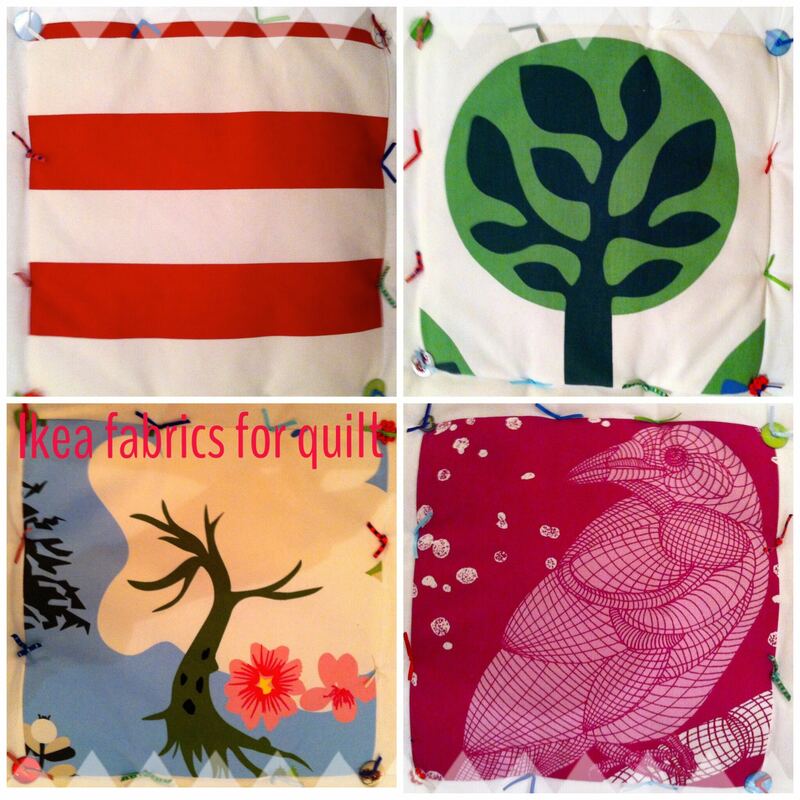 I decided that rather than go with pricier quilting cottons, in case it was a disaster, I would go with Ikea cotton instead. I love their textiles’- great prints and, I find, very colourfast. I was in the store for quite a while to find 4 fabrics that didn’t really match but somehow worked together. 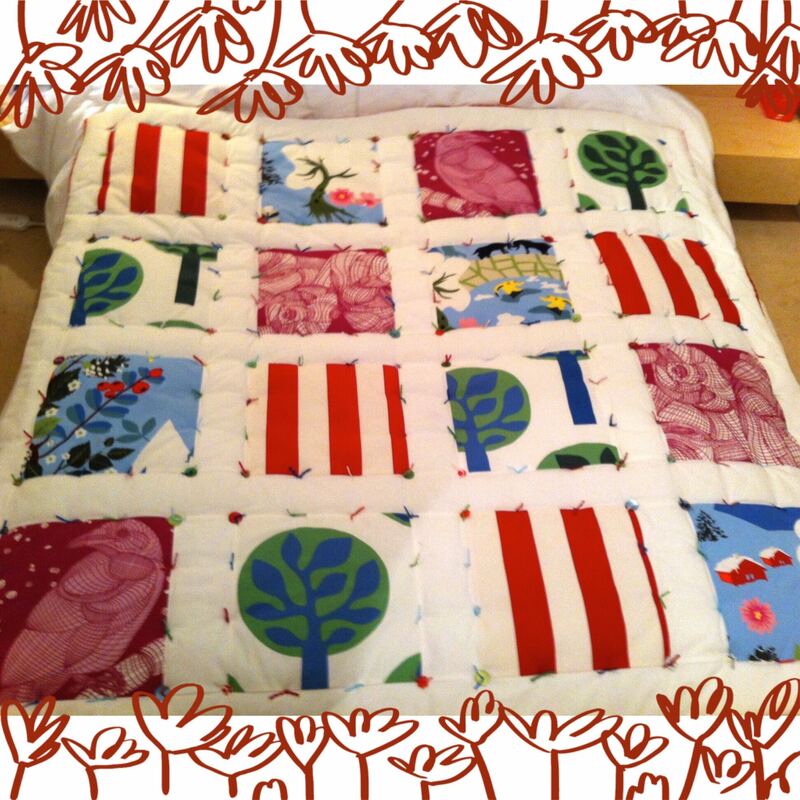 The construction was really simple for this quilt since it has very few blocks. I chose a very high loft batting to get the puffy look and white ribbed jersey for the back so it was nice and soft. All that meant that I couldn’t quilt it using the machine; it was way too thick. I ended up hand-tying it with ribbon and adding buttons for decoration on each of the corners. That bit was hard work. I ended up having to use a biggish needle to thread the ribbon through and then pliers to get it through the layers of the quilt- phew. 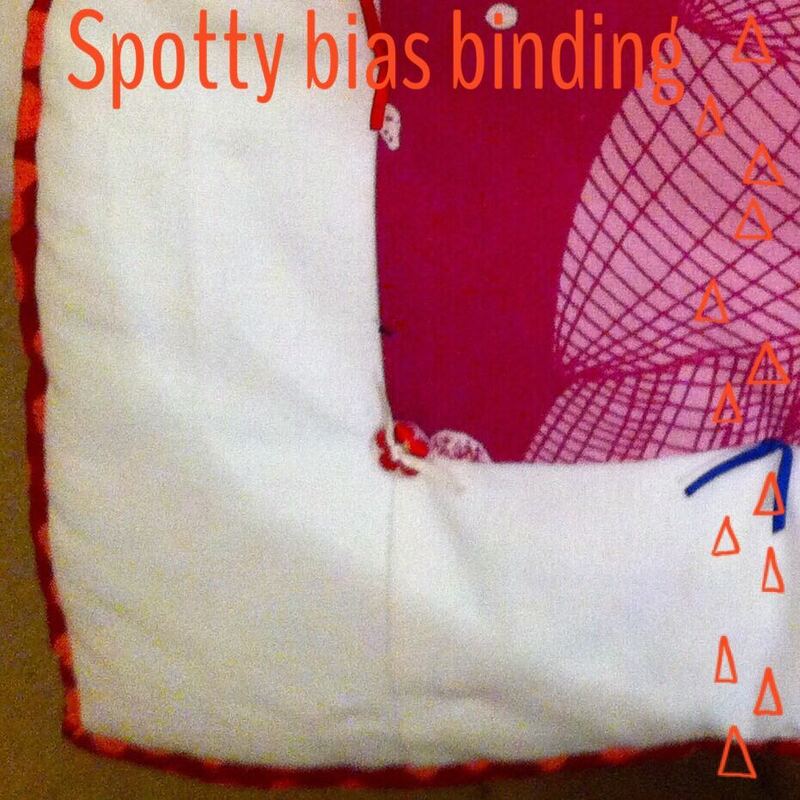 I made bias binding in a spotty cotton for the edges which I hand sewed on and that was about it. SO I didn’t end up actually using the sewing machine much past the construction of the front after all. I love the end result though, besides I’ve had lots of practice with the machine since.